Everything was carefully positioned. A Malcolm X portrait at top center. In the foreground was a briefcase with bundled money spilling out. Still recalling what Guru mentioned during their dinner — mafioso — as well as the Renaissance-y theme some at EMI had communicated to him, Gunther and his crew moved elements into a frame. Everything was carefully positioned. A Malcolm X portrait at top center. In the foreground was a briefcase with bundled money spilling out. The globe, the wolf’s head, a Remington Rand typewriter, a paperback copy of Elijah Muhammad’s Message To The Black Man in America, a closed turntable case, and a replica of a human skull were painstakingly placed to layer and enrich the space. A Gang Starr version of tough-guy renaissance. “DJ Premier and Guru were professionals, no matter how blitzed they were,” Gunther says with a laugh. “They were great guys who were into it. The photo that made the final cut is precise but lush. Guru’s bomber jacket delicately leans off of his left shoulder as the emcee’s blunted eyes — under razor-blade sculpted eyebrows — glare into the camera. The shot captures the coolness of Elam while DJ Premier’s relaxed yet stunting energy distracts, with a cigar dangling from his mouth. As we approach July 17 — what would have been the late Guru’s 55th birthday — the image has come to epitomize a two-decade bond between brothers who shared everything but blood. Although their relationship became strained, and the two weren’t on speaking terms when Guru died in 2010, the love was real. DJ Premier carries on the Gang Starr legacy via his work with superstars from Jay Z to Christina Aguilera. He is considered by many to be one of the greatest producers in the history of hip-hop. No matter what Preemo does, the Gang Starr sound is always attached to his being. 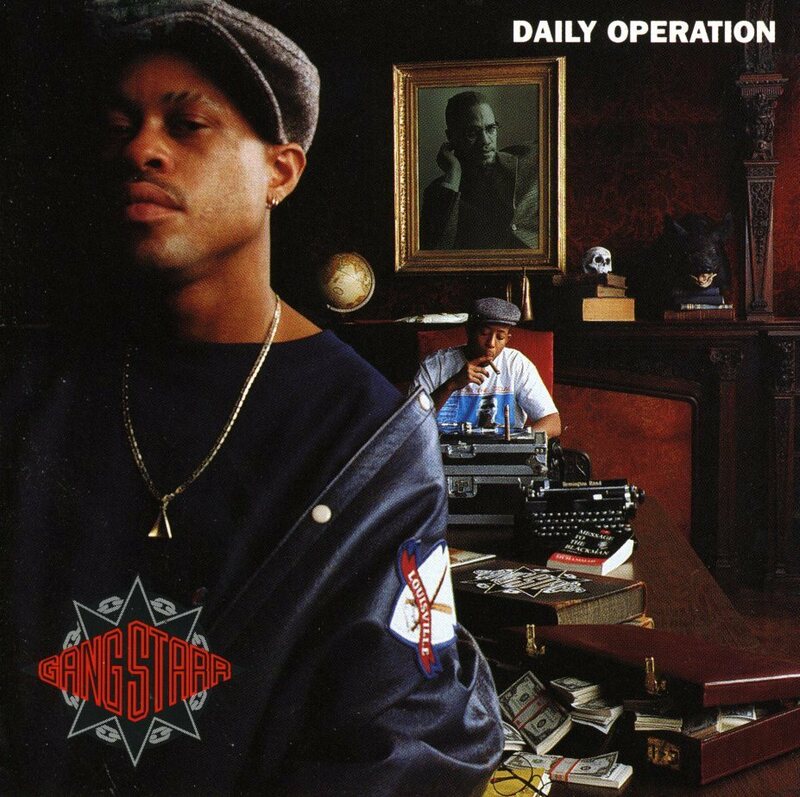 Daily Operation was a turning point for Gang Starr and also helped Gunther go on to secure placement in publications including The New York Times, Newsweek and GQ. As legendary designer and illustrator Bill McMullen has said of the cover, “It’s like hip-hop was maturing a little bit … more of the artists could adopt a weirdness that primarily had been reserved for artists in other genres.” Exactly.